The Death of the City? Reports of San Francisco’s demise have been greatly exaggerated. Editor’s Note:This is an excerpt of Rachel Brahinsky’s essay “The Death of the City?” from our Summer 2014 issue. It’s true that, amid rising inequality, the regional culture has become more predictable, more formula retail. Even its offbeat places have aligned with similar districts in other cities, the chain-store hipsterisms of Brooklyn’s Williamsburg and many others. The monoculture matters not just for the loss of the unexpected or the creative, but because it rises alongside the forced displacement of people. 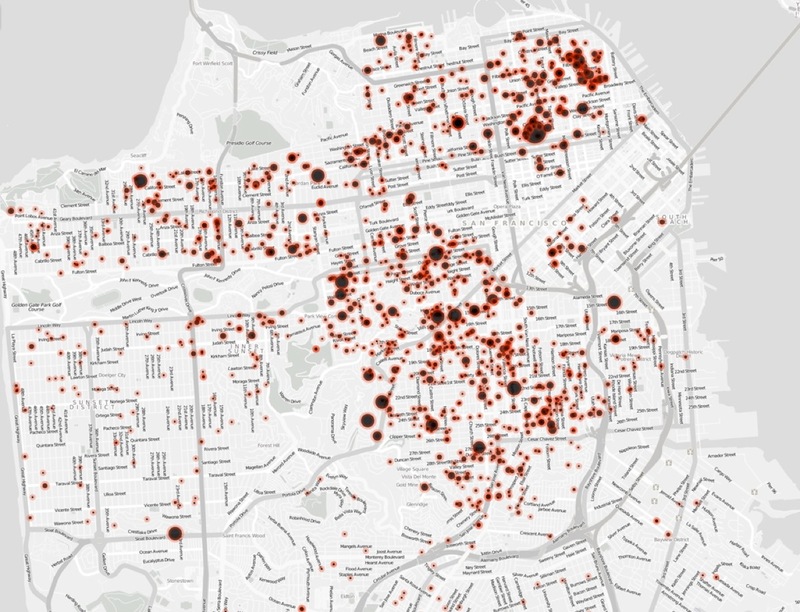 The effects are so widespread that, in a city where 65 percent are renters and where landlords are aggressively using all measures to flip houses to take advantage of the flow of tech wealth before the bubble bursts, it’s safe to say that more than half the city feels insecure in its tenancy.8 In many ways it feels like a moment of “one-percent” power; Wall Street’s Gordon Gekko might be very happy in today’s San Francisco. Each week, it seems, we hear about the impending closure of yet another fixture on the urban landscape that will soon lose its place in the city, another hard-fought mural that will soon be losing its face. 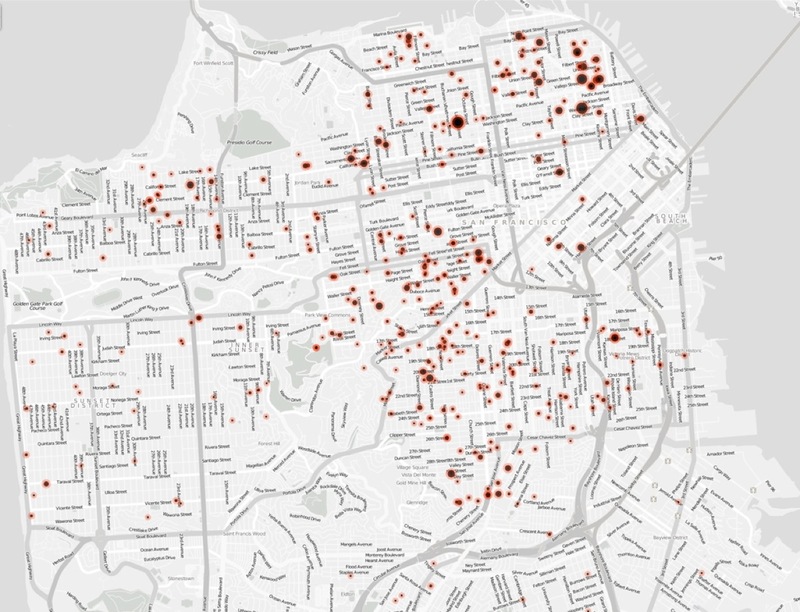 Meanwhile, the reports flow about realtors knocking on doors in places like the Mission and Bayview Hunter’s Point, offering cash buyouts for homes that are not for sale. Even so, another quintessentially San Franciscan story is emerging in the activist challenge to the Gekko-inspired “greed is good” mentality that is gripping The Valley.9 In early December 2013, the first tech-shuttle protests burst into the news. At the time, critics challenged whether protesters had chosen the right target by blocking buses of workers who were simply trying to get to work. Yet by the end of February, the issues that the protesters wanted to push into the mainstream had traveled the globe through dozens of high profile media reports. Locally, the concerns from the streets morphed into a clear set of policy prescriptions, from the resurrection of slain supervisor Harvey Milk’s proposed antispeculation tax and other disincentives to slow displacement, to the proposed creation of a new city office that would be charged with aggressively protecting tenants. Of course, for Google this is a cheap externality. Still, by the time you read this, there may be more stories like this, as the appeal against Google’s use of public stops moves forward. Although there is much to be mourned in the loss of places and people that this boom has wrought, we cannot miss that the response to it that has come over the recent winter is also shaping the cultural-political-geographic landscape of the region. The rise of multipronged organizing, where we’re seeing street protests bolstered by deep data gathering and policy advocacy, has shifted the debate at a moment when many people who love San Francisco for its quirks and queerness—particularly those who cherish its remaining anticorporate zeitgeist—thought it might be time to give up. Ellis Act evictions (when a landlord can legally evict all tenants in a building to get out of the rental business) first took off during the dot-com boom of the late nineties. Between 1997 and the burst bubble in 2000 there were more than 900 such evictions. Through the years of the housing bubble, large numbers of Ellis Act evictions continued. 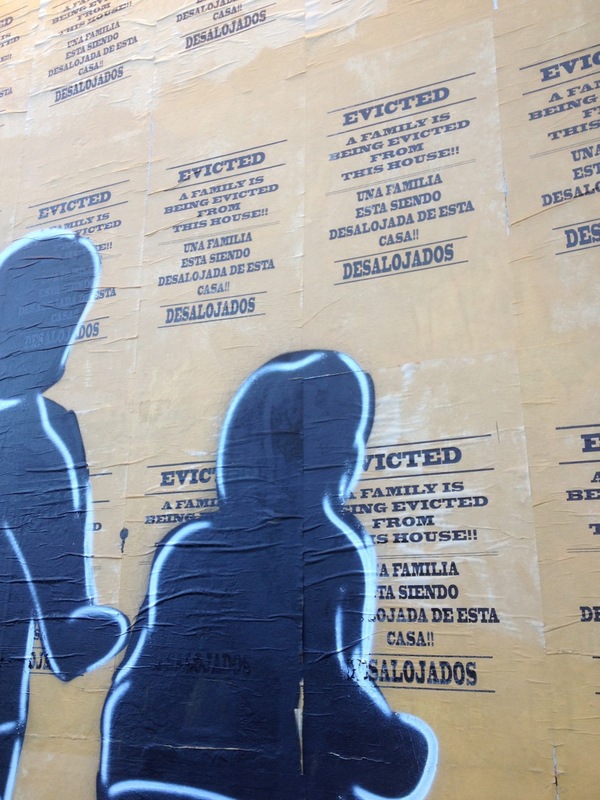 By the end of 2007, there had been 2,905 of these evictions in San Francisco— more than 300 in 2007 alone. Evictions slowed down during the housing crisis, and in 2010 only 89 families lost their homes due to the Ellis Act. By the end of that year total number of evictions going back to 1997 was 3,336. But the Ellis Act doesn’t tell the whole story. 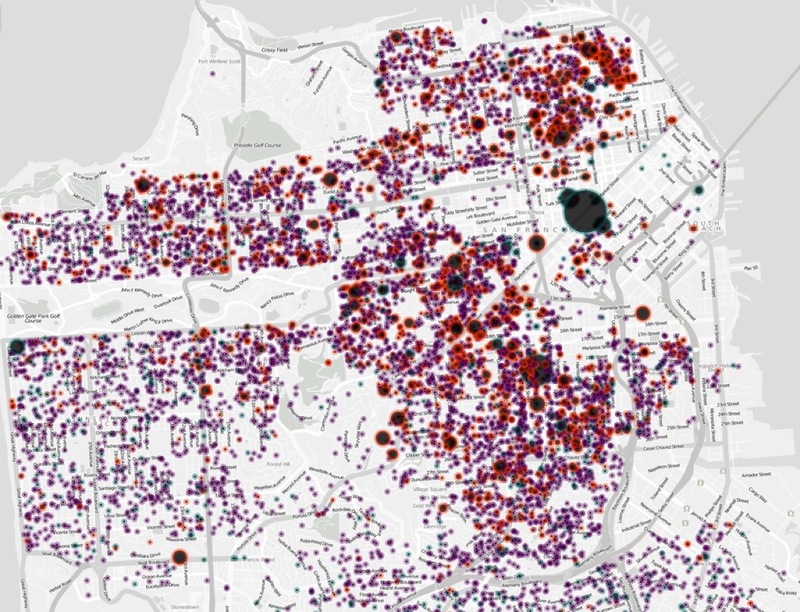 From 1997 to October 2013, there were 11,766 no-fault evictions in San Francisco; 3,693 due to the Ellis Act, 6,952 due to owner move-in, and 1,121 due to demolition. To continue reading click here to access the full article on JSTOR, where we’re delighted it will remain free for a limited time. Then click on a link to view the PDF and agree to JSTOR’s terms. All photographs courtesy of Rachel Brahinsky and maps courtesy of the Anti-Eviction Mapping Project. 1 My deep thanks goes to those who read and commented on this essay, including Bruce Rinehart, Joshua Brahinsky, Corey Cook, participants in the “Planning, Revitalization, and Displacement” session of the 2014 Urban Affairs Association meetings, and the generous editors and anonymous reviewers at Boom. 2 “Creative destruction”originates with Joseph Schumpeter, Capitalism, Socialism and Democracy (New York: Harper, 1975). Others have explored its role in the urban context. See Max Page, The Creative Destruction of Manhattan, 1900-1940 (Chicago: University of Chicago Press, 1999); Richard A. Walker, “An Appetite for the City,” Reclaiming San Francisco: History, Politics, Culture, James Brook, Nancy J. Peters, and Chris Carlsson, eds. (San Francisco: City Lights Books, 1998). 3 Loretta Lees, Tom Slater, and Elvin K Wyly, Gentrification (New York: Routledge/Taylor & Francis Group, 2008); Neil Smith, The New Urban Frontier: Gentrification and the Revanchist City (London: Routledge, 1996). The blog Vanishing New York published this excellent analysis that fleshes out “hyper-gentrification” in more detail than I’ve seen elsewhere. Moss is a pseudonym: Jeremiah Moss, “On Spike Lee & Hyper-Gentrification, the Monster That Ate New York,” Jeremiah’s Vanishing New York, 3 March 2014. 4 Rebecca Solnit, “Resisting Monoculture,” Guernica / A Magazine of Art & Politics, 12 March 2014. Solnit has become the prime chronicler of the disappearance of old San Francisco, documenting the clash of cultures in fine detail in a series of essays including this one. 5 See Delene Wolf, Rent Board Annual Report on Eviction Notices (Residential Rent Stabilization and Arbitration Board, 2014). 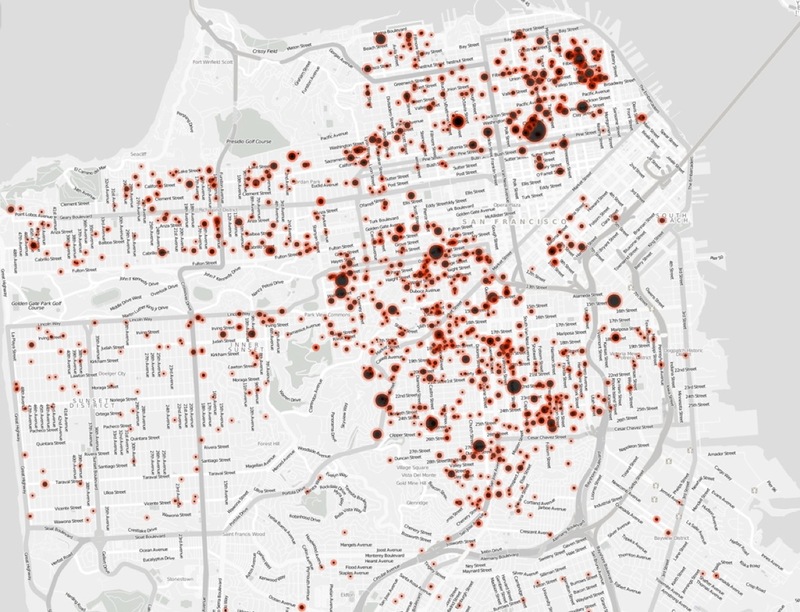 6 The city doesn’t track the number of people evicted in each incidence, but the activist Anti-Eviction Mapping Project estimates that the number of evictees could be between 716 and 3,580, assuming one to five evictees per eviction. See antievictionmappingproject.net. This advocacy-project’s data sleuthing has been bolstered by city reports like the one noted in note 5 (Wolf, 2014). 7 On the economic fallout in the East Bay, see Darwin Bond-Graham, “The Rise of the New Land Lords,” East Bay Express, 12 February 2014. 8 Housing stability has been a key concern in a series of surveys, including this one: Cook, Corey, and David Latterman, University of San Francisco Affordability and Tech Poll, December 2013. This is notable across incomes in San Francisco, where the most recent census showed about 65 percent of residents are renters, about twice the national average. 9 This push back by civil society against pressures of market economics is what Polanyi described as a “double movement.” Karl Polanyi, The Great Transformation: The Political and Economic Origins of Our Time (Boston, MA: Beacon Press, 2001). 10 Tim Redmond, “Everyone in Town (except a Few Landlords) Is Supporting Leno’s Ellis Act Bill,” 48 Hills, 24 February 2014; Norimitsu Onishi, “Ron Conway, Tech Investor, Turns Focus to Hometown,” The New York Times, 18 April 2013. 11 Cote, John, and Marisa Lagos, “Google Says $6.8 Million for Youth Muni Passes Just a Start,” San Francisco Chronicle, 27 February 2014. 12 One of too many to include here: Baker, Kenneth, “Art Galleries Swallowed Up by S.F. Real Estate Boom,” San Francisco Chronicle, 26 February 2014. 13 On the rise of street-level urban planning during Dot-com I, see Rachel Brahinsky, Miriam Chion, and Lisa Feldstein, “Reflections on Community Planning in San Francisco,” Spatial Justice/Justice Spatiale 5 (2013). Then head back to the 1980s—no techies, lots of yuppies: Dan Morain, “Gentrification’s Price: S.F. Moves: Yuppies In, the Poor Out,” Los Angeles Times, 3 April 1985. 14 Last fall, after a member of the politically connected Alioto clan found himself facing eviction from his well-appointed Art Deco Nob Hill apartment, tensions rose further with the realization that almost anyone could be evicted, even a politically connected person paying high rent. See Carolyn Said, “Park Lane Tenants Protest Conversion Plans,” San Francisco Chronicle, 28 September 2013. 15 See Gabriel Metcalf, “The San Francisco Exodus,” The Atlantic Cities, 14 October 2013, compared with SPUR report, SPUR’s Agenda for Change, 12 March 2014.